Congratulations to Ross Krause and Kelsey Allen, the overall Grand Tree winners (best six races), and to Stanislav Trufanov and Kelsey Allen, top Stoneheads (total points). Stanislav ran 16 races, the most next to Stonehead runnner up Ted Cowles, who ran 18 races. Kelsey ran just 10 quality races to place third overall Stonehead, male or female. Congratulations to all 2222 of you for another season of getting away from your desks to run around in the woods like deer, bear, moose, chipmunks, and human beings. Please thank in your hearts all the race directors and their volunteers who make these trail races possible. Like trail racing, eh? Ordinary roads, the track, seem a little too... flat? 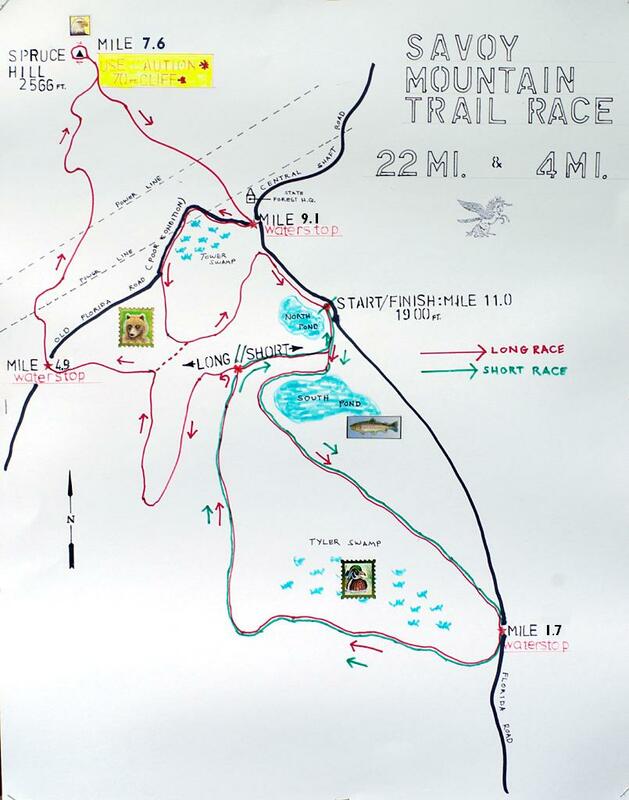 Try the USATF-NE Mountain Circuit. The Mt Washington race on June 16th has limited entry and is not part of the series. This year the Grand Tree will avoid placing multiple races on the same day in the series. We hope this provides more of the benefits of a series for both the runners and the races. In case of conflicts, the Grand Tree as a general policy will list only the race that is traditionally on that date. Therefore, the final makeup of the series is uncertain until the dates for all the races are known. Race info, app, and more at Merrimack River Trail Race, Dave Dunham's blog. 2011 Results | 2011 Cool Running | 2010 Results | 2009 Results | 2008 GT Results | Dave Dunham's 2008 Rivah Story - pics, video! Note - This year there was construction at the Summit House, requiring a short steep detour trail cut around the left side of construction at the Summit House and down to the parking lot to rejoin the usual trail down to the turn-around. Sorry to say that the 50K race is cancelled this year (no scheduled "fun run", either). We hope to see it next year. New Savoy course: single 11mi lap of old course w/ 5.4mi out-and-back Spruce Hill to Rt 2 on BNRC ridge trail, thanks to Isaac Tirrell,	the new race director. 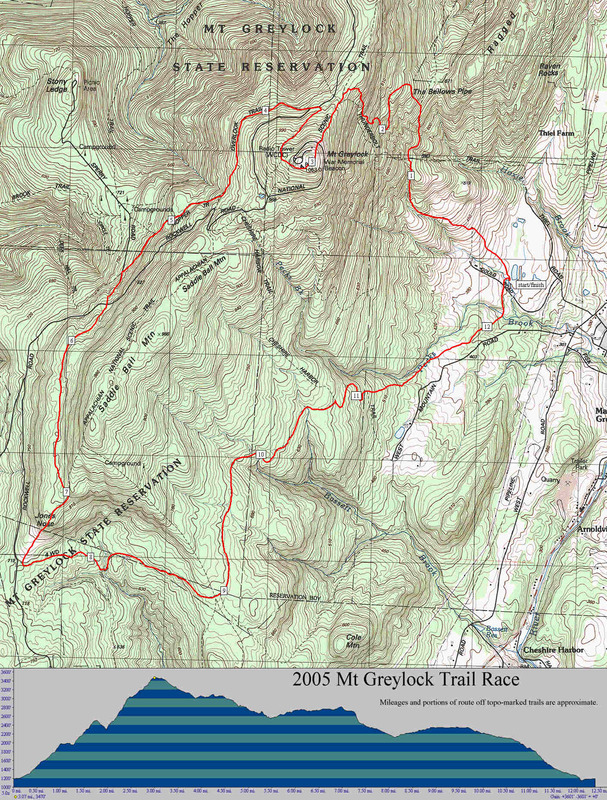 Savoy Mountain was the September 2012 Trail of the Month	in Runner's World online Trail Running section. Gary Montgomery, Race director, (603) 363-8420. Stone Cat Ale, 26.2 or 50 mi, Ipswich MA, 6:15am Saturday November 3, 2012. Run as few or as many as you like. For each race, you get points proportional to your pace as a percentage of the winner's pace, with the winner getting 100 points, and, for example, a hypothetical runner at 75% of the winner's pace getting 75 points. Your best six races determine your final standing for the series. In addition, for the "Stonehead" competition, your total points for all races is summed. For Pisgah and Stone Cat, both race distances count, for all other dual-distance races, the longer race is the Grand Tree Race.
) know of any date changes or of any significant revisions to your race's results following their initial posting. - Thanks.